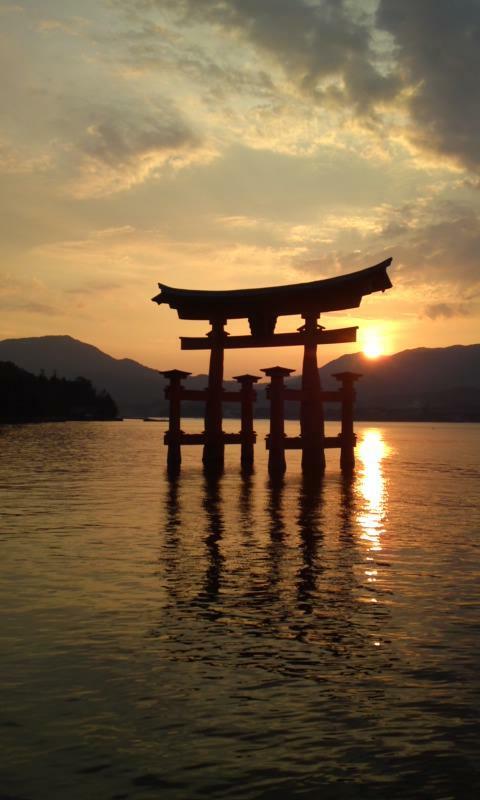 Here are some tips to enjoy your stay on Miyajima. Don't forget to bring comfortable shoes! As main transportation on Miyajima is your foot, bringing comfortable shoes is key of your enjoyable stay. Roads are not fully paved as nature remains untouched at some area. There are supermarkets, drugstores and vending machines on Miyajima but there is NO convenience store and the most of stores closed around 5PM. So be prepared. Levels of tide shows you different view of Itsukushima shrine and Otorii, great red gate. 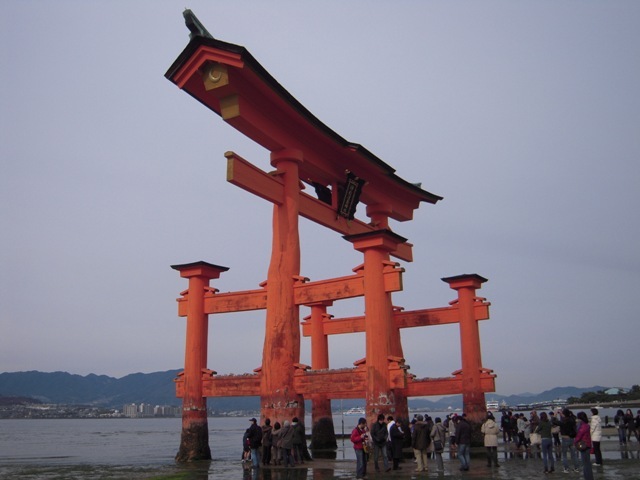 At high tide, the shrine would be more beautiful and at low tide you can walk to Otorii gate. You can get tide information at the pier. Take JR ship on the way coming to Miyajima then take Matsudai-Kisen on the way back.. There are 2 shipping companies at the pier. JR ship goes to close to Otorii, great red gate, on the way coming to the island. You can get good view/picture of the gate from sea. Then on the way back, take other ship, Matsudai for different view of Setonaikai sea. - Sunset : This you shouldn't miss !! Scenery changes everyday and no same scenery exists. - Night view of Itsukushima shrine and Otorii, red gate. - Stars: Night of Miyajima is very dark so that you can see a lot of stars. - View from top of Mt. Misen: Beautiful view of the Seto Inland sea lies below you. - Small old path: Walking along small old paths make you feel like you are back in ancient times and you can enjoy the scenery that are not in travel guide books. - Momiji Manju tasting: Momiji Manju, a maple leaf shaped stuffed waffle, is famous sweet of Miyajima. There are so many stuffing/flavor and it will be fun to find your favorite one. Unique ones are Ice momiji (filled with ice-cream) and fried momiji.